The Volcanic Trails is a trekking tour combining two distinct sections. With combination of both you get the ultimate Iceland Trek! See your combo tour options here. For an extraordinary trekking tour through on of Iceland’s most amazing areas you can combine both parts of the Volcanic Trails tour. This tour will take you to some of the key places of the southern highlands, on some of the Iceland’s most beautiful trails. From the peak of Sveinstindur by lake Langisjór, you follow the Eldgjá volcanic fissure along the Álftavatn passing Strútur Mountain, where you take the backroads to famous Landmannalaugar. 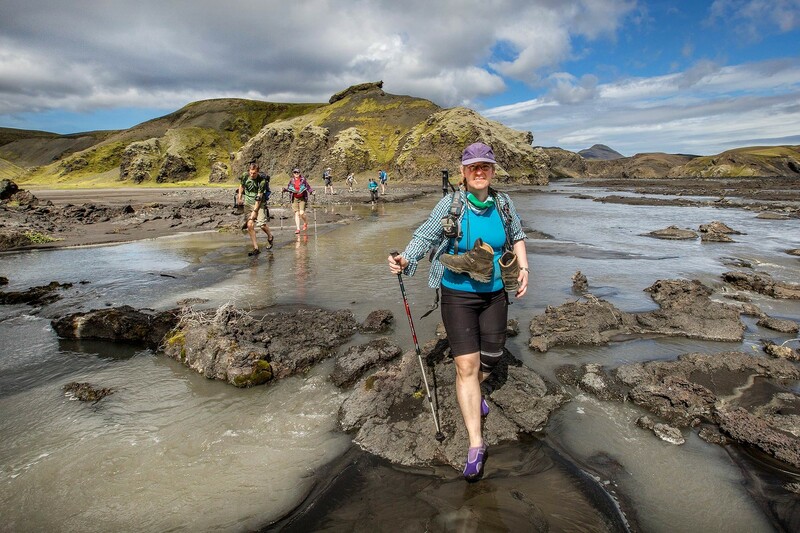 This is an amazing trek through one of Iceland’s greatest volcanic regions.